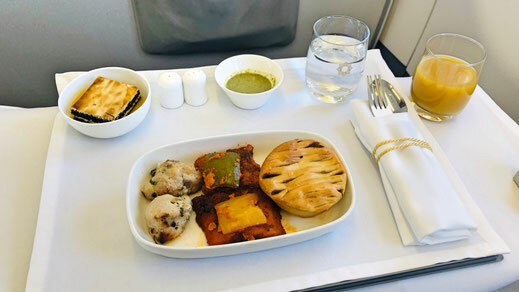 I was excited about trying Air Vistara and I can honestly say that they are the best airline in India. 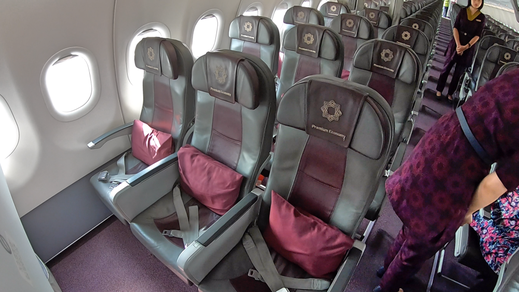 The cabin is beautifully designed, the crew very professional. Sometimes a bit too professional. But I love the concept and finally India has a capable airline that soon deploys their airplanes internationally as well. I enjoyed the food as well as the seat. 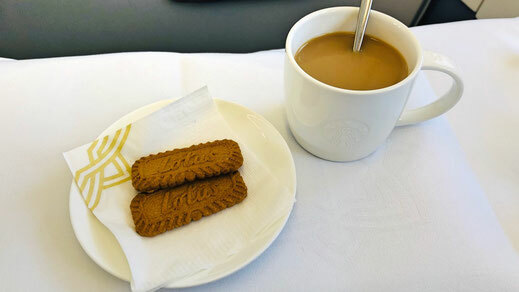 Also the lounge in Delhi was nicely designed. Watch my video to see the full review. 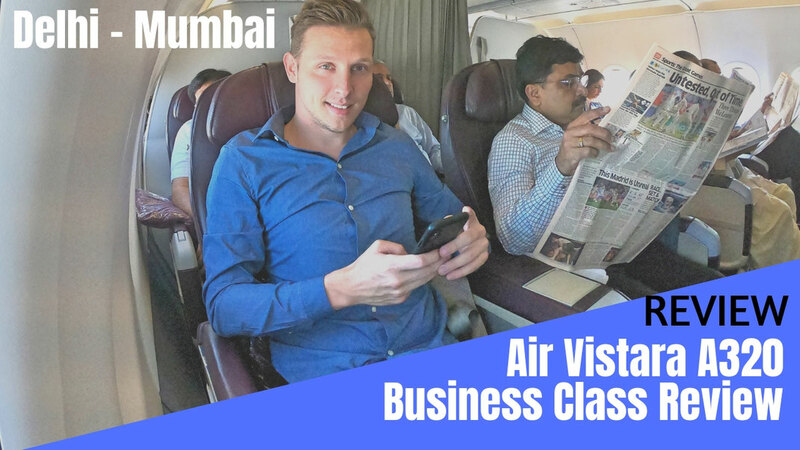 Watch my comprehensive video review on YouTube featuring Air Vistara's Premium Economy and Business Class. 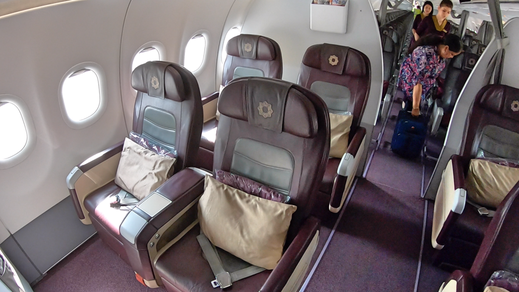 Air Vistara's Business Class comes in a 2-2 configuration with 8 seats in total. 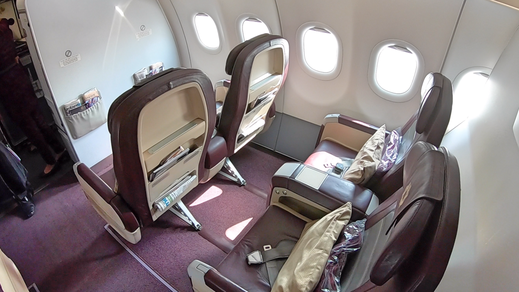 The seats come with a decent recline, a pillow and a blanket. The leg room is a bit limited in the first row. I found the seat to be very comfortable. 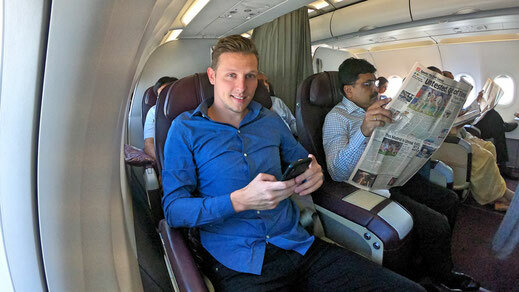 There is no personal entertainment screens, however Vistara offers a free app which you can download. When onboard you can then stream the movies offered to your personal device. I'm personally not a big fan of that. 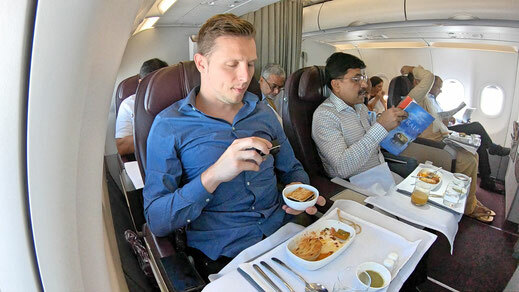 Air Vistara is the only airline in India that offers a Premium Economy Class. 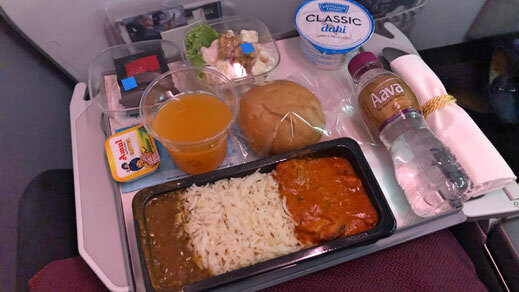 The food was once again very tasty and fresh. Also the seat offers increased leg room. Great product!